Are you exhibiting at a trade show in San Jose? Do you need assistance creating a spectacular trade show display? Metro Exhibits can help. We provide purchase trade show displays, rental trade show exhibits and much more to satisfy all of your exhibiting needs in San Jose, California. San Jose is the economic, cultural, and political center within the Silicon Valley and largest city in Northern California. Located in the center of the Santa Clara Valley, on the southern shore of San Francisco Bay, San Jose covers a total area of 179.97 square miles. 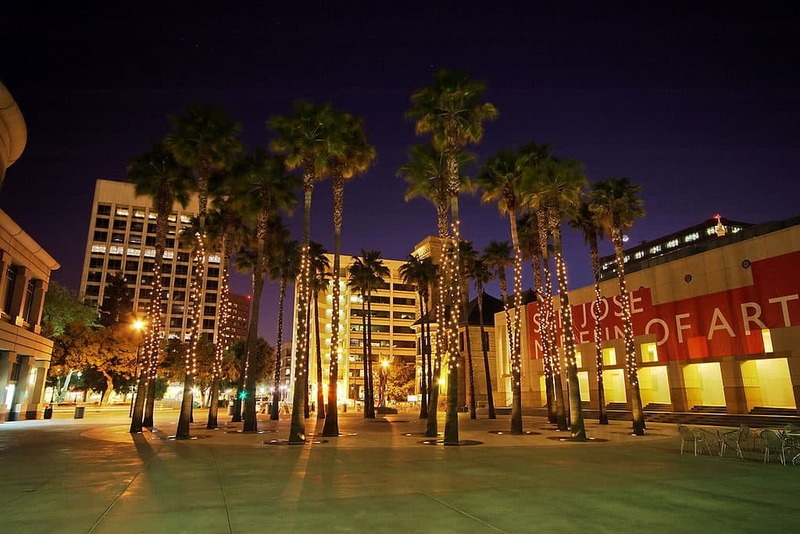 San Jose is also the county seat of Santa Clara County, the most affluent county in California and one of the top 10 most affluent counties in the United States. San Jose is considered to be a global city, known for its affluences and high cost of living. San Jose’s location within the booming high tech industry, as a cultural, political, and economic center has earned the city the nickname “Capital of Silicon Valley”. San Jose is also home to the SAP Center which hosts the professional NHL team the San Jose Sharks. The area also home to the Lick Observatory which has made many discoveries over the decades. The San Jose area is also home to the McEnery Convention Center located in the downtown area. Through this located hundreds of shows are held annually and range from technology, to Fitness. The center also offers a interactive sculpture which harnesses local sound to create ambient colors. Grid Edge World Forum, The FitExpo, QuickBooks Connect, Harvest Festival Original Art & Craft Show, LithoVision Show. Brick by the Bay Expo, Sensors Expo and Conference, Wedding and Lifestyle Expo. At Metro Exhibits we understand the needs of companies and organizations to stand above all others. Branding, the practice of building a lifelong preference amongst consumers to choose and patronize your company, is of crucial importance. At trade shows exhibits and conventions in San Jose, CA, the ability to make an impression that will separate you from your competition is our goal. Metro Exhibits provides the best physical representation of your brand possible. In San Jose, as in other cities around the United States, we offer a full complement of trade show and convention services. We will work with you to create and design unique trade show and exposition booths, displays, and corporate spaces. The San Jose convention center is the premier location for Trade shows and conferences within San Jose. This location encompasses up to 550,000 Square feet of space, 31 meeting rooms and a banquet hall. The center also hosts a variety of major events such as Fanime and The Silicon Auto Show annually. Additionally, this center has up to 245,000 square feet of exhibit space between the south hall and main center. The center also offers direct access to the rail system right outside its main entrance. For more information look here. The Santa Clara Convention Center is the second largest trade show and conference center in the area. With up to 302,000 Square Feet of space and large meeting rooms, this facility offers a great location for shows. Furthermore, the center also offers multiple floor planes and two large scale ballrooms for a diverse layout. For more information on the center look here.